Since moving to the UK from South Africa, Christmas has been a very different experience in comparison to living in the southern hemisphere. December in South Africa is summer time where the festive season is reminiscent of hot summer days, lounging outside, meat on the braai and splashing around in the pool. For me, Christmas in London definitely feels so much more festive when it’s cold and dark, surrounded by all things Christmassey. Perhaps it is a little over-the-top and commercialized but I am a sucker for fun festivities. Every year my hubby and I have the intention of checking out the Christmas lights and decorations around the city. But usually the cold weather and crowds is enough to deter us and the appeal of lazing on the couch always seems like a better option 😉 A benefit of starting my blog is that it’s motivated me to get off my lazy bum and get out the house. So believe it or not, we got up early one Sunday morning to take photos around Oxford Circus. And wow, it was definitely worth the 5:15am alarm clock! 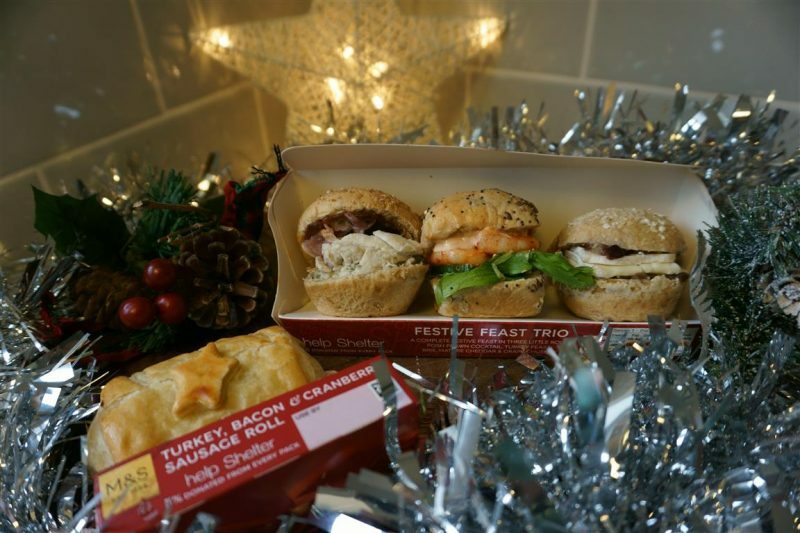 Every year retailers such as Marks and Spencer, Pret and Eat make yummy festive sandwiches and foods filled with ingredients such as turkey, stuffing, fruity chutney and cranberry sauce. The same goes for the coffee shops like Starbucks who serve seasonal hot drinks such as Gingerbread latte and Eggnog latte. Because I love my food and enjoy trying different flavours, I always look forward to this time of the year when lunch time becomes a little more interesting than the plain coffee and ham and cheese sandwich. There are always so many things happening in London but at this time of the year you really are spoilt for choice. There are many Christmas themed events to attend such as Christmas shows, Christmas carol concerts, festive afternoon teas and wintry pop up bars and restaurants. 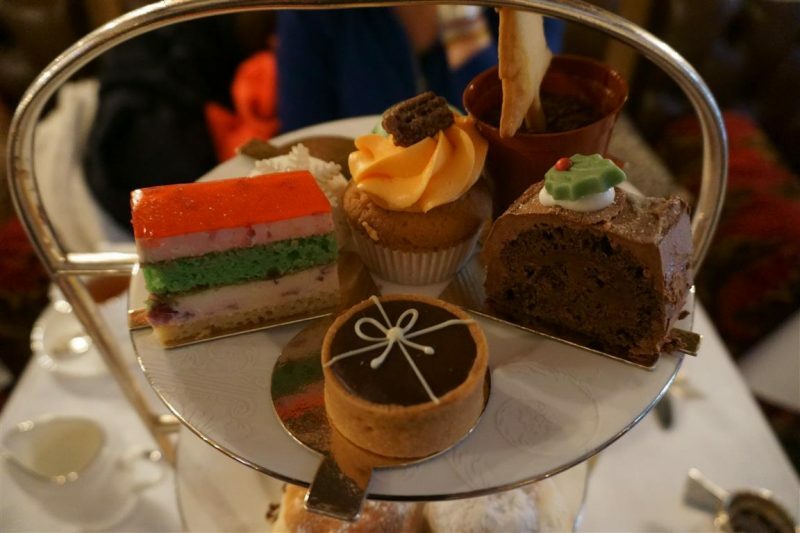 Watch this space for my recent festive afternoon tea experience. Every year the return of London’s ice rinks marks the beginning of winter and the approaching Christmas season. Located all over London there are many outdoor ice rinks to choose from. 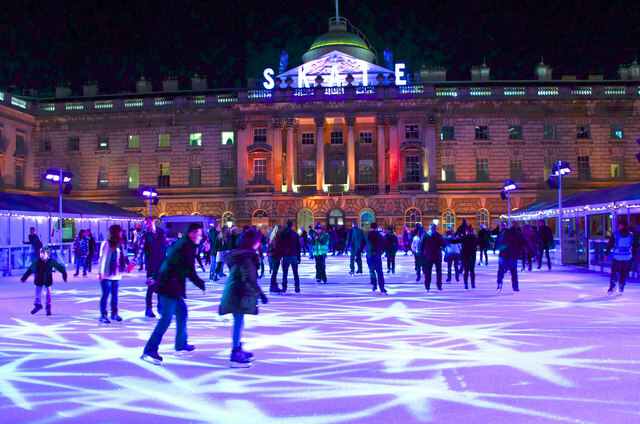 These are just some on my list of which I’m hoping to visit at least two: Broadgate Ice Rink, Natural History Museum Ice Rink, Tower Of London Ice Rink, Skate at Somerset House, Canary Wharf Ice Rink. 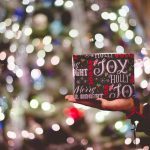 These are 5 reasons why I think you should experience Christmas in London at least once in your lifetime! 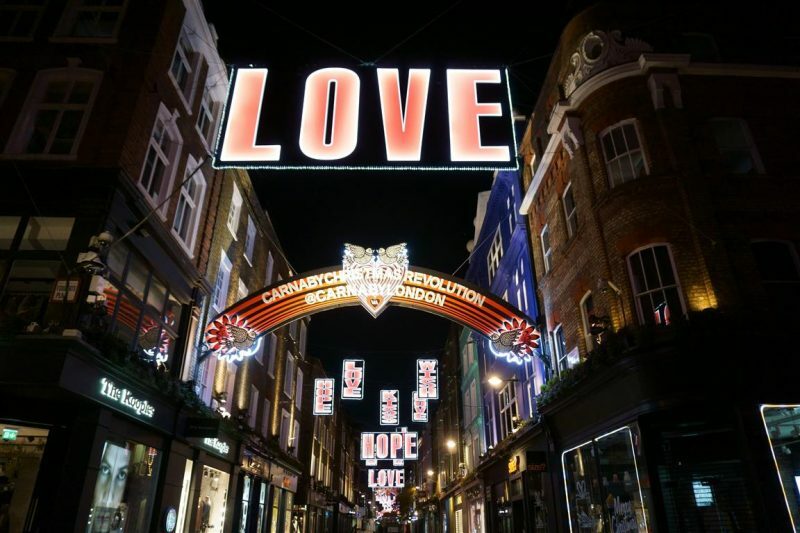 If you live in London, what do you enjoy about Christmas in London? 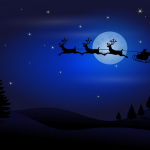 Do you have any must-do’s or favourite things to do at this time of the year? I’d love to hear in the comments. A white Christmas wow! Sounds electrifying! THIS looks like a dream. Wow. Thank you for giving me something to put on my bucket list. London is so beautiful during the Christmas season! It was certainly worth getting up so early to take pictures – love the image of Regent Street! Have a great week! I bet it is a whole lot different than what was in South Africa! Thanks for linking your experience up to #globalblogging! Hi Brandi, thank you! Hahahhaa that’s awesome that my post makes you feel the Christmas spirit 😉 Thanks for stopping by! 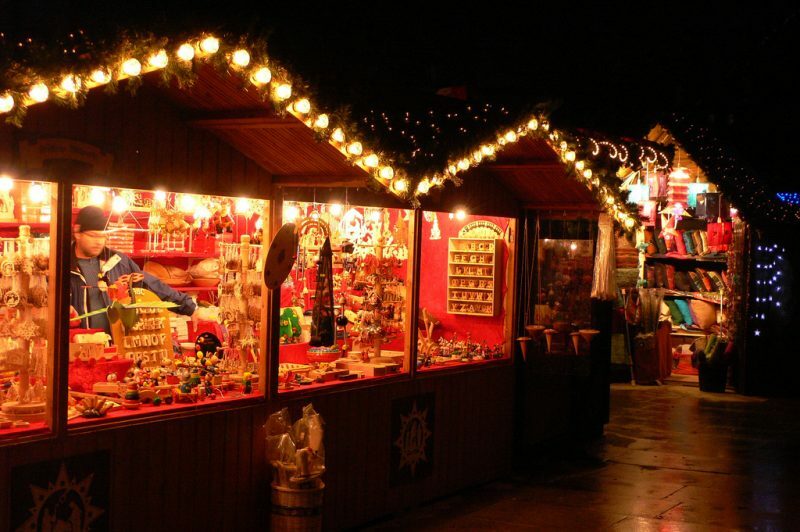 Hi Tanja, have you visited London over the festive season yet? I visit London a lot but not nearly enough at Christmas which is such a shame as I’m missing all the wonderful markets. 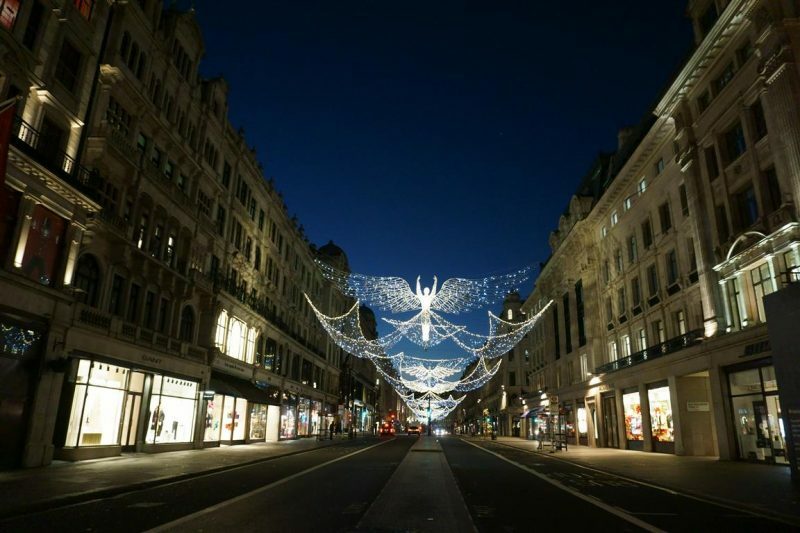 I used to work in Oxford Street many years ago but was so busy working that the most I would really see were the Christmas lights on my race back to the Tube! Thanks for reminding me about why I should go in December. Hi Trish, I can imagine working around Oxford Street one would just want to get away from all the busyness as soon as possible! Hopefully you’ll be back in London again soon to enjoy the festivities as a tourist 😉 Thanks for stopping by. Hi Nell, lol. We didn’t get up specifically just to take pics for my blog. My hubby is into photography too and we wanted to get pictures of the Xmas lights when it’s dark without people around and late at night is not really an option when you’re all cosy and warm on the couch 😉 That’s awesome that you’ve experienced Christmas in CT.
Hi Cathy, I know exactly what you mean about getting complacent! Hence why this year we’ve tried to make more of an effort otherwise it often feels like the only time we remember to enjoy our splendid city is when we have visitors from abroad lol! Thanks Wilbur. Yes that’s true, the shops do get “dressed up” nicely too!